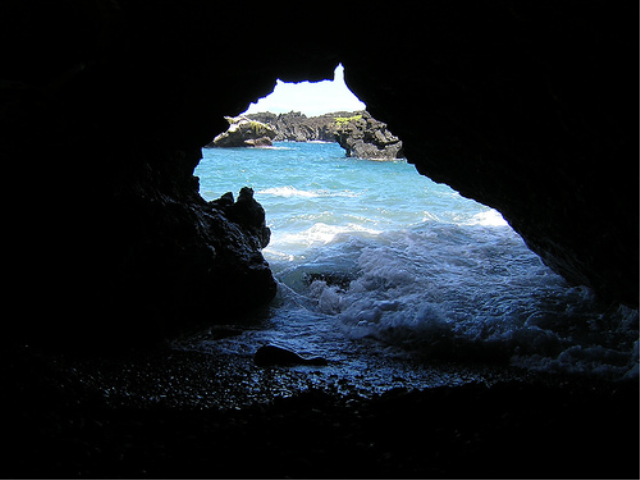 You can find this sea cave at Waianapanapa Beach along the road to Hana on Maui. Wainapanapa Beach is one of Hawaii’s most beautiful black sand beaches. The outline of the cave opening reminds me of the profile of a Westie dog. What does it look like to you?